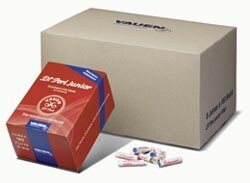 Box of 180 Vauen Filters, 9 mm. 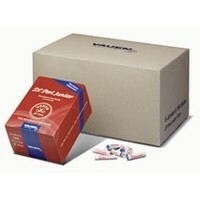 Filter with highly efficient activated carbon. Pleasantly mild, cool and dry smoking enjoyment through excellent moisture absorption and an extremely efficient reduction of harmful substances, while maintaining a low resistance. Tip: To achive the best possible result replace the filter every time you fill the pipe. Snelle levering plus een extraatje.